World Food Day is observed around the world on October 16 in honor of the founding date of the Food and Agriculture Organization of the United Nations in 1945. 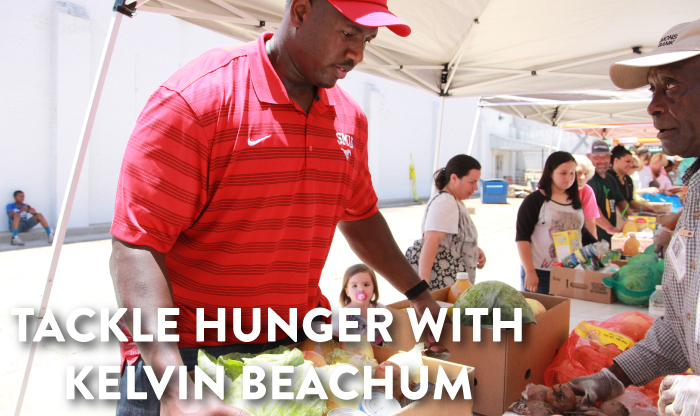 Through October 16, NFL star Kelvin Beachum, who grew up in Mexia, Texas, is generously offering a matching challenge of $5,000 to the Food Bank. If we meet Kelvin’s challenge by raising $5,000, Kelvin will match your gift again for a potential TOTAL of $15,000! That means every dollar you give will provide 12 meals for Central Texans in need. Every dollar matters and every donation counts—DONATE TODAY! World Food Day is observed every year around the world on October 16th. Kelvin’s matching challenge benefits five food banks across the country to honor his hometown, his home state of Texas, and the cities he has played for during his NFL career. The campaign will kick off on September 30 when the New York Jets face the Jacksonville Jaguars and will conclude on October 15, with final results October 16 (World Food Day) at the Food Bank of New York City where Kelvin will be volunteering. Provides 300 meals for your neighbors in need. Provides 600 meals for your neighbors in need. Provides 1,200 meals for your neighbors in need. Provides 2,400 meals for your neighbors in need. 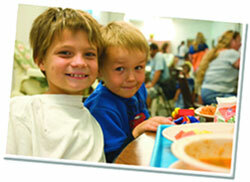 Provides 4,800 meals for your neighbors in need. Your most generous gift provides meals for your neighbors in need.